Address: #01-94/96, 5001 Beach Road, Golden Mile Complex, Singapore 199588. It was an impromptu dinner with a friend after my Microsoft’s talk in the city on the Saturday’s evening. It was a bit rushing for my friend to come over due to the impromptu invitation. While waiting, I decided to hang around the Golden Mile Food court, just located opposite of the Golden Mile Complex, to have a light dinner before my friend arrived. Do I sound like a big eater? We walked around the first floor of the complex to decide which Thai restaurants to go for our dinner. We settled down at Beer Thai House which is located at the back row shoplots. It is slightly hidden but they have a lot of customers in the restaurant, seemed to be a good Thai restaurant. We ordered the fried vegetable, a tom yam goong and a steamed fish with the Iced Thai Milk Tea. 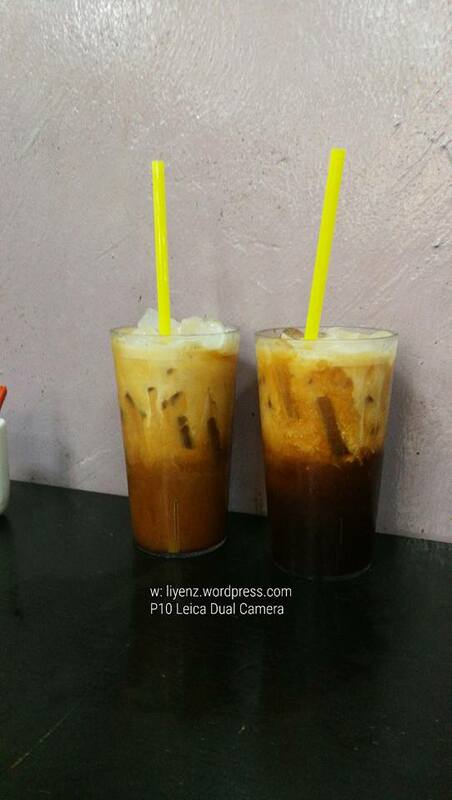 We wondered why our Thai milk tea looked differently, even before and after we mixed them. For the drink, it was well tasted, not too sweet, able to taste the original Thai milk tea. The food was served quite fast except for the steamed fish which took quite long, until we thought they have forgotten it and I did not take the picture of the steamed seabass fish when they served us because we were too hungry to wait further. The fried asparagus was great, delicious, crunchy and generous in portion. 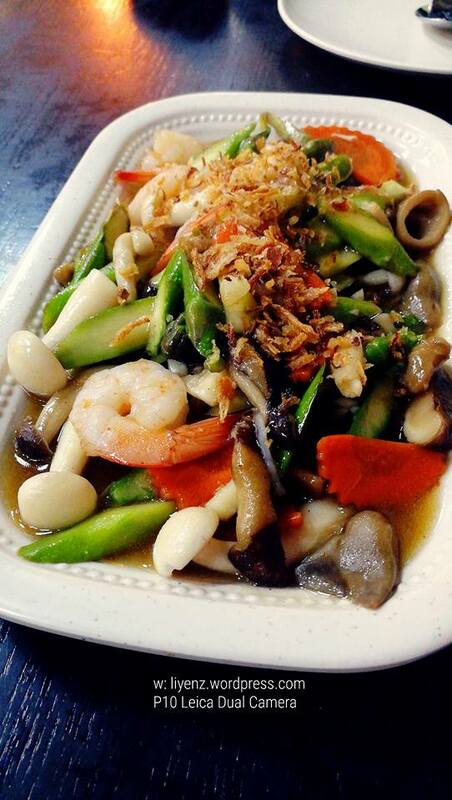 With some mushrooms, small sized prawns and carrots fried together with the asparagus, served hot with spring of fried onions, it was a great appetizer for our meal while waiting for the steamed fish. 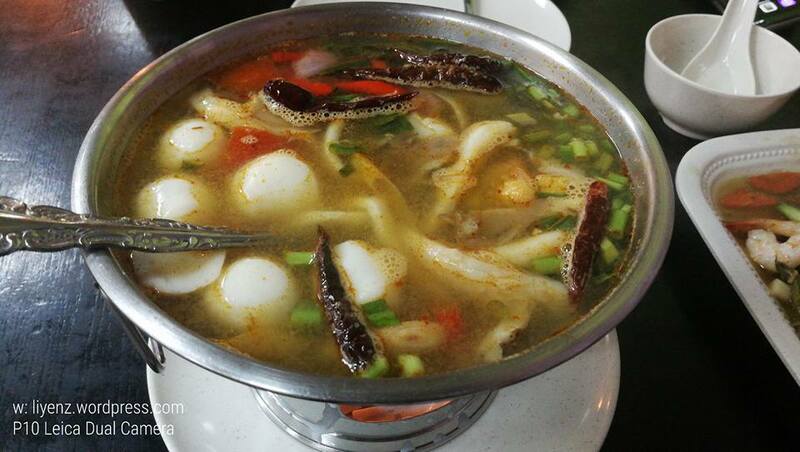 Besides the small sized prawns inside the tom yam goong soup, it added fish balls, mushrooms, dried chilies and plenty of the lemongrass. It made the soup having a strong taste of lemongrass which I did not like it that much and we did not finish the soup. What a waste!